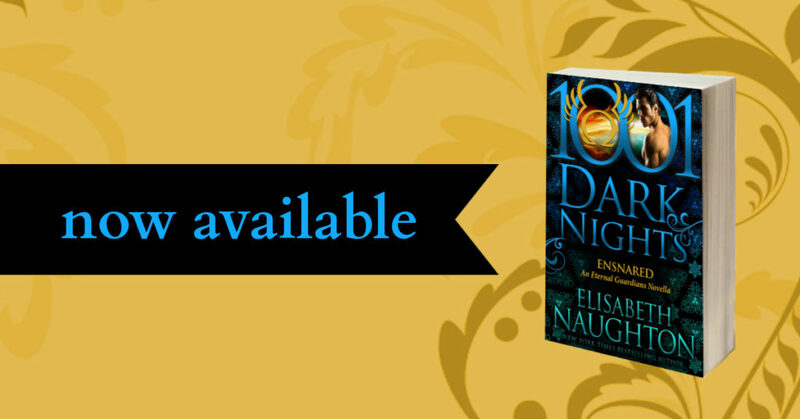 From New York Times Bestselling author Elisabeth Naughton, comes ENSNARED, a new novella in her Eternal Guardians Series, brought to you by 1,001 Dark Nights! Be sure to grab your copy today! She’d never been to this beach. She didn’t know if it was somewhere in Argolea—the blessed realm created by Zeus for the ancient heroes’ ancestors—or if she was somewhere in the human realm. All she knew was that she liked it. She liked how peaceful it was. Liked how breathtaking the scenery was. Liked that here—wherever she’d taken herself this time—no one was telling her what to do or pressuring her to be something she wasn’t. “I’d say you look lost, but something tells me you are exactly where you want to be,” a deep male voice said at her back. Kara whipped around, her long blonde hair blocking her vision before she brushed it aside, and stared at the man reclined on a padded chaise lounge on the beach. A man and chaise that hadn’t been there only moments before. A man who was vaguely familiar though she couldn’t figure out why. “I…who are you?” she asked. His question made her blink. Who did she want him to be? She had no idea. All she knew was that an odd heat was building inside her. One she’d never experienced before. When he only continued to stare at her, she narrowed her eyes, running her gaze from his thick dark hair down his very muscular body. With his hands clasped behind his neck, his expression expectant, he looked relaxed and just the slightest bit amused. But there was a mysterious glint to his blue-green eyes that belied his stress-free exterior. 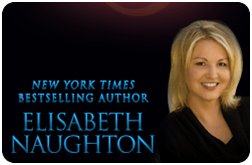 And though he was gorgeous—tall, dark, and handsome in every way with that chiseled jaw, lush lips, and mesmerizing eyes—something in the back of her mind warned her to be careful. She didn’t like his riddles. And she didn’t like that he knew her name when she was still struggling to figure out who he was and why he was so familiar. But the longer he stared at her, the warmer she grew. And as his words circled in her head, it suddenly hit her like a baseball bat right to the forehead.